Annual Honor Recognizes Kings Player for Leadership On and Off the Court. 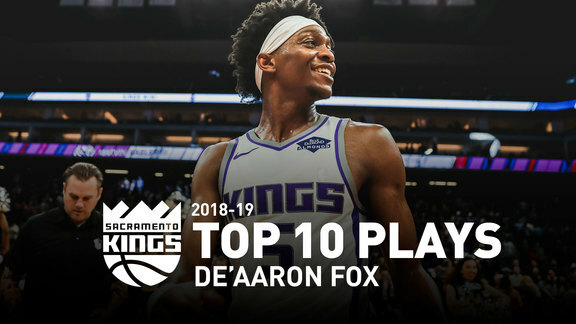 On Sunday, before the team takes on the New Orleans Pelicans, the Sacramento Kings will present De’Aaron Fox with the 2019 Oscar Robertson Triple-Double Award. The award, named after the NBA legend, is given each year to a Kings player who exemplifies excellence on the court and in the community. Fox has been a strong, vocal proponent of the importance of health with an emphasis on breast health awareness throughout his journey to the NBA in honor of his mother Lorraine Harris-Fox, an 18-year breast cancer survivor. 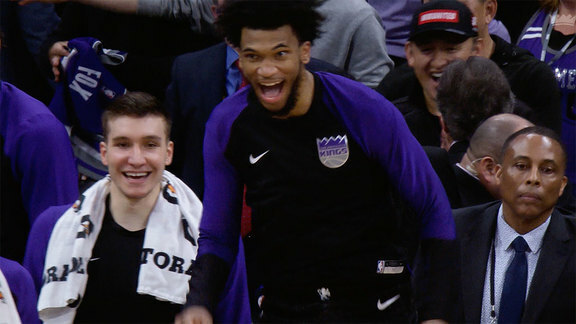 Throughout the season, Fox has been a leader in making positive contributions on and off the court and in the community through his Breast Cancer Community Assist Program, raising $20,000 to benefit local nonprofit Albie Aware Breast Cancer Foundation to support their efforts to battle cancer and serve the needs of patients and their families in the region. Reaching out into the Sacramento community, Fox and his mother have teamed up to host an annual clinic on Mother’s Day in Sacramento at Golden 1 Center for survivors and their families to learn not only about basketball, but also the importance of staying healthy and positive – especially through the challenges of breast cancer. Fox has demonstrated the importance of giving back for his teammates. Earlier this year, rookie forwards Marvin Bagley III and Harry Giles, along with others, joined Fox and his mother at a Strike Out Breast Cancer charity bowling event to raise additional funds for Albie Aware and bring joy to families impacted by breast cancer. In honor of the tremendous impact Oscar Robertson has had throughout his life on the court and in the community, a Kings player is selected each season and presented the Oscar Robertson Triple-Double Award. The honor is awarded annually to a deserving Kings player who best exemplifies winning characteristics, both as an athlete and a conscientious citizen active in the community. Inaugurated in 2003, prior award winners include some of the most recognizable figures in Kings team history such as Chris Webber (2003), Vlade Divac (2004) and Peja Stojakovic (2005) in addition to back-to-back honors for Corliss Williamson (2006 and 2007) and Garrett Temple (2017 and 2018). A full list of honorees can be found here.